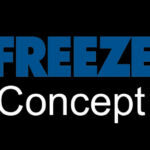 Nitro-Freeze, LLC was founded in Connecticut. It was moved to its current location in Worcester, Massachusetts in early 2002. The previous owner, Richard Salews, established an investment casting company over 35 years ago and became involved in Cryogenic Tempering as part of the business. He remains active today with CINE as an advisor. Cryogenic Institute of New England is a research and development center within NitroFreeze. The purpose of the Institute is to provide data and analysis for advancing the proprietary processes and formulas used by NitroFreeze. The Institute was formed during the technology transfer of NitroFreeze founder, Mr. Salews, to our present owner and CEO. The Institute has evolved to include a comprehensive, renewable, multi-year Technology Assistance Agreement with a leading firm in the Cryogenic Tempering industry. This agreement includes cryogenic support, consultative services, access to databases and applications history. The controls developed by NitroFreeze are modified extensions of the best commercial heat/cool controller circuitry available and accompanying computers.